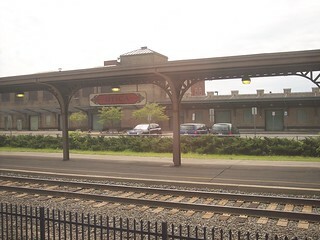 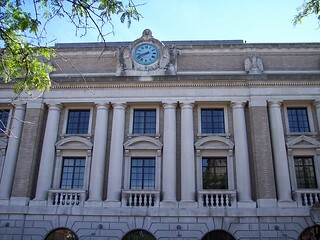 The front of the large old station building in Utica. 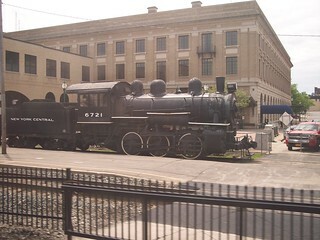 A closeup of the front and an old steam locomotive near the tracks. 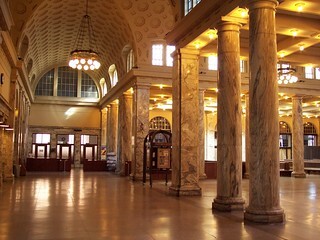 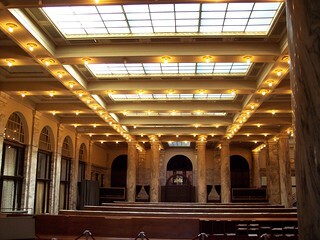 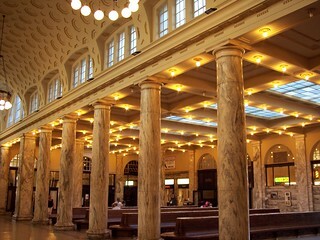 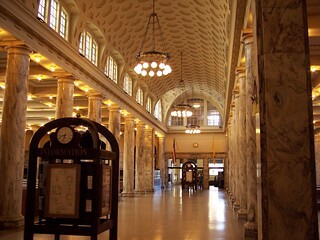 Inside the grand old station. 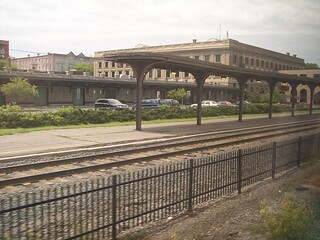 The train to Big Moose, and the old platforms on the far side of the tracks. 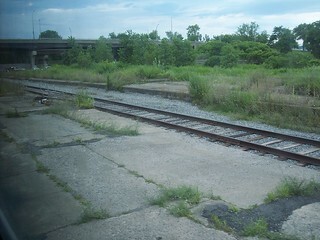 The outline of the old entrance to the underpass under the tracks is still visible. 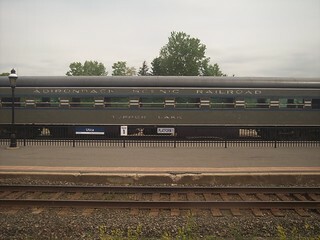 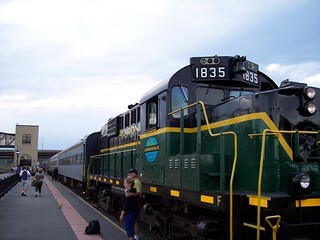 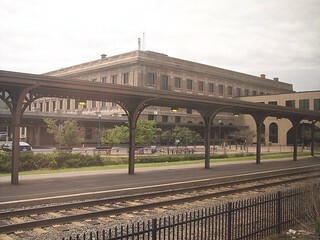 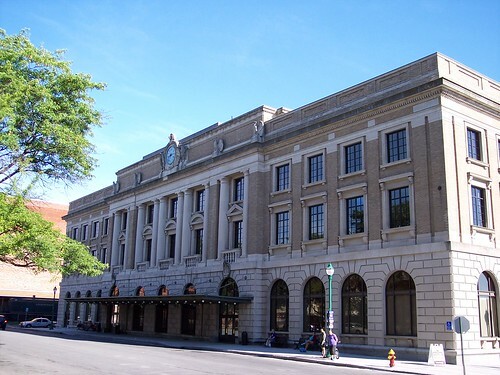 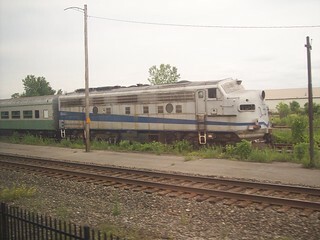 In addition to Amtrak service, the Utica station is also a terminal for the Adirondack Scenic Railroad.